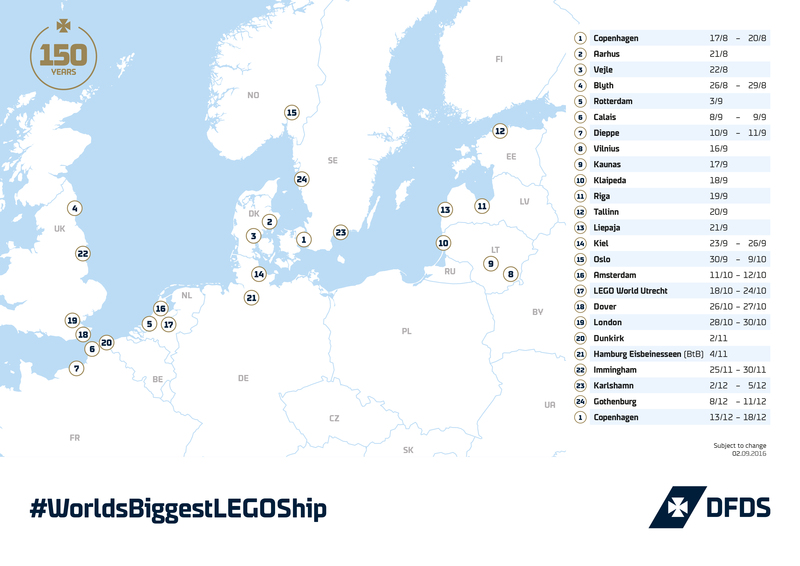 Jubilee Seaways, our LEGO ship, is on a journey, visiting our offices, ports and terminals all over Europe. Check the map and see if she'll be making a port call near you. Jubilee Seaways' journey lasts through the end of the year and beyond. She's visiting DFDS terminals and locations and exhibitions around Northern Europe. Chances are she’s going to be stopping near you. For more details on the visits in the different locations, you can check the DFDS Facebook pages for the different countries. They have all kinds of awesome 150th-anniversary events planned! Please note that this schedule is dynamic and subject to change. Updates will be provided regularly on the DFDS Group Facebook page, so do follow us there!